 Primera Med Spa in Lake Mary, Florida, is an exclusive facility where men and women from the entire metro Orlando area can fulfill their aesthetic goals. Led by board-certified facial plastic surgeon Dr. Edward Gross, Primera's team of aestheticians, medical assistants, and physician assistants combine the relaxing, rejuvenating feeling of a world-class spa with the safety, professionalism, and reliable results of a medical practice. At Primera, we're always on the lookout for innovative options that will give our patients the results they want, but this doesn't mean jumping on every fad that comes along. Instead, Dr. Gross and his staff carefully evaluate new treatments and devices before introducing them to the practice, ensuring they're safe, effective, and likely to generate predictable results. Each of our injectable treatments is FDA-approved, which means these products have undergone rigorous testing to ensure they're quite safe when administered by medical professionals. Our staff members have undergone training in the proper administration of chemical peels, intense pulsed light, and other non-surgical skin procedures to ensure optimal results that meet each patient's unique goals and fit into his or her schedule. When you come to Primera for a skincare treatment, you can feel confident that you're treating yourself to proven procedures and products administered by highly skilled professionals. Primera Med Spa is supervised by medical director Dr. Edward Gross. As a board-certified facial plastic and reconstructive surgeon, Dr. Gross specializes in facial rejuvenation, and providing natural results in a professional setting. He can also offer surgical recommendations for patients who are in need. Dr. Gross has served the greater Orlando area for more than 20 years. Our Primera Slim Spa is available on-site and is customized for medical weight loss to give each patient a new lease on life. Primera Salon and Spa lets you put the finishing touches on your beautiful new look. And at our dermatology practice, Primera Dermatology, men and women can find state-of-the-art medical skincare with our board-certified dermatologists. Primera Med Spa caters exclusively to the face and skin. With such a specialized focus, it's no wonder Primera patients are among the most satisfied in central Florida. At Primera, you can enjoy a specialized continuum of care that you simply won't find anywhere else.